Independent jewellery retailer Fabulous had been named Best Independent Business ahead of Solihull businesses in all sectors, including retail. The retailer was awarded at this year’s Solihull BID Excellence Awards at a red-carpet event, compered by TV newsreader Sameena Ali-Khan and attended by close to 400 guests. 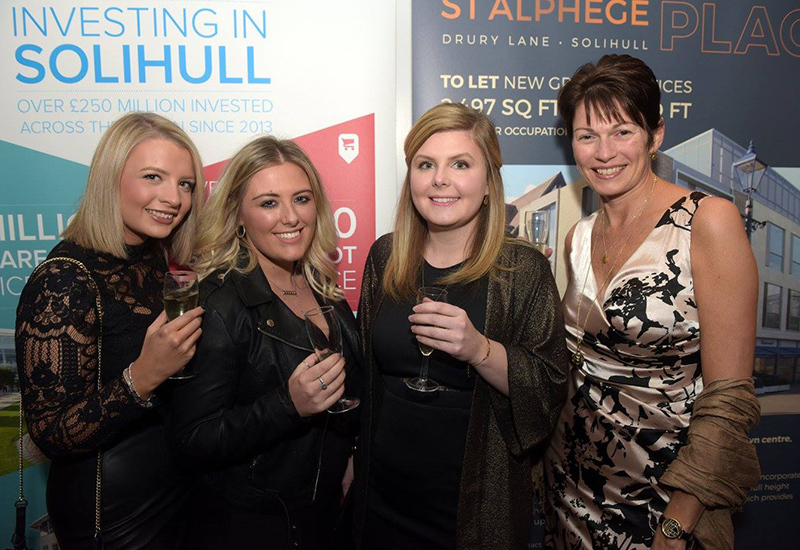 Owner Jo Stroud accepted the award, accompanied by Sinade Prosser, who manages the Solihull store and also works closely with Stroud on buying and own-brand development; and retail supervisors Lucie Orme and Emily McLeod, from the Solihull store. “We were honoured to win such a prestigious award, especially up against so many outstanding independent businesses in this wonderful town,” commented Stroud. The Excellence Awards were sponsored by Touchwood, Mell Square, National Grid and Solihull College & University Centre. Judging the Excellence Awards were Eileen Schofield of Schofield & Associates, Paul Brown, director, Ernst & Young LLP, David Bradnock MBE, HM Deputy Lieutenant for the West Midlands and John Callaghan, principal and chief executive, Solihull College. Solihull BID director Melanie Palmer described the awards as a “success story for Solihull”.